Located in south-central Kansas, Wichita State was selected as a CollegeNET Social Mobility Innovator for 2019 because of its multi-year and institution-wide commitment to recruiting and retaining students from under-served and under-represented populations. Over the past five years, Wichita State has consistently ranked among the top 3-6 percent of all schools on the Social Mobility Index (SMI). For more information about the SMI and to see the 2018 SMI rankings, visit www.socialmobilityindex.org. CollegeNET has named 12 Historically Black Colleges and Universities Social Mobility Innovators for 2019. The Social Mobility Index (SMI) ranks nearly 1,400 four-year U.S. colleges and universities according to how successfully they enroll students from low-income backgrounds and graduate them into promising careers. The goal of the SMI -- now in its fifth year -- is to help redirect the attribution of "prestige" in the higher education system toward colleges and universities that are advancing economic mobility, the most pressing civic issue of our time. For more information about the Social Mobility Index, go to www.socialmobilityindex.org. The 2018 Social Mobility Index (SMI) -- a measurement of US higher education's commitment to growing opportunity and success for economically disadvantaged students -- has identified several consistently high-ranking institutions, based on how effectively they are helping low-income students attend college and graduate into well-paying jobs. For more information about the SMI and the 2018 SMI rankings, visit www.socialmobilityindex.org. The annual CollegeNET User Conference took place this July in Portland, Oregon, with close to 500 participants and attendees from higher education institutions around the country. The four-day conference offered 125 demonstrations, workshops, and seminars presented by CollegeNET employees and customers. Attendees saw the latest products and features in action, received hands-on training from CollegeNET developers, and heard helpful advice and inspiring case studies presented by colleagues. As in years past, CollegeNET also treated attendees to the sights and culture of the beautiful Pacific Northwest with a variety of tours, activities and local entertainment. "The annual conference was, once again, glorious! Way to go!" The annual Social Mobility Summit brings student success professionals from colleges and universities across the country to share best practices for supporting student success in higher education. The goal of the Social Mobility Summit is to address one of the most pressing issues of our time: higher education's role in advancing social mobility in order to stem the growing economic disparity in our country. 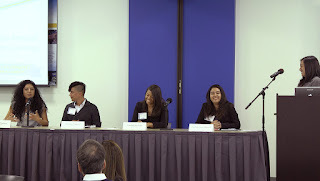 The two-day event includes round table discussions and individual presentations on methods for best educating economically disadvantaged students and preparing them to succeed beyond college, and for getting communities and legislators on board. Each of the professionals participating in the Summit has their own story to tell about their groundbreaking programs and initiatives for supporting student success. CollegeNET is pleased to host these innovators as they share their ideas and concerns, and help them have a voice beyond their institutions. CollegeNET invited student success leaders across the country to discuss higher education's role in narrowing the socio-economic gap in today's society. In this eBook collection of essays, higher education professionals who head innovative student success programs at their institutions discuss the challenges of identifying and supporting the needs of under-served students. And they share highlights of their innovative approaches to helping these students succeed in college, obtain four-year degrees, and to on to well-paying jobs. The publication, Social Mobility through Higher Education, includes articles by Baruch College President Dr. Mitchel Wallerstein; UC Irvine Vice Provost for Teaching and Learning Dr. Michael Dennin; Winston-Salem State University Chancellor Dr. Elwood Robinson; and UC Santa Cruz Vice Provost for Student Success Dr. Jaye Padgett. 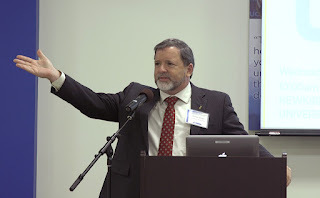 The publication also includes a concluding essay by CollegeNET CEO Jim Wolfston. 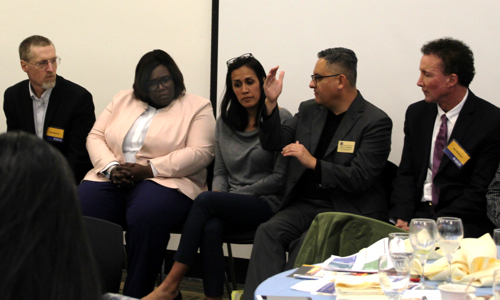 On Feb. 26, the University of California, Santa Cruz, a 2017 Social Mobility Innovator, hosted a symposium on equity and social mobility through higher education. Leaders in higher education came together to share and explore data-driven best practices to support student success. 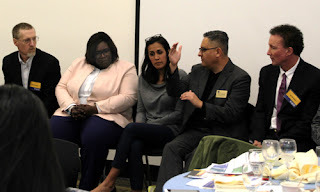 The UC Santa Cruz symposium was co-sponsored by CollegeNET, Inc., developers of the Social Mobility Index (SMI), a data driven ranking that evaluates US colleges and university according to how well they perform at admitting and supporting the success of economically disadvantaged students. For more information about the SMI and the 2017 SMI rankings, visit www.socialmobilityindex.org. The University of California, Irvine, a 2017 Social Mobility Innovator, recently hosted a symposium on facilitating social mobility in higher education. 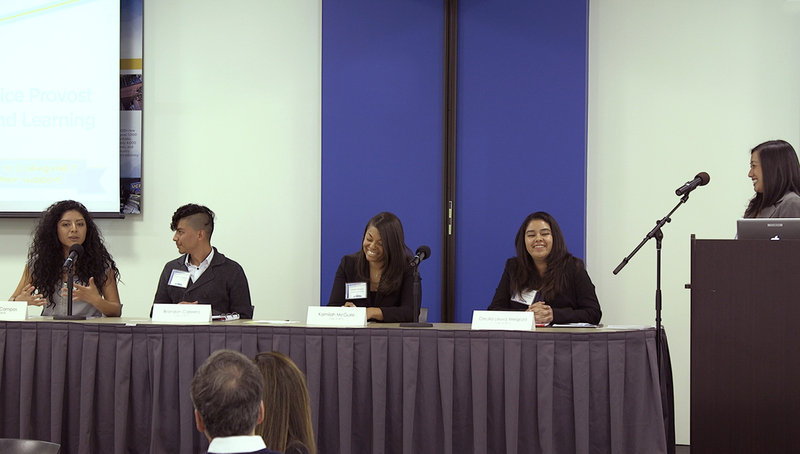 The symposium featured panels of faculty experts, practitioners, and UCI students and alumni discussing the importance of social mobility in defining student success in higher education. Attendees applauded the speakers and panelists both at the symposium and in the Twittersphere.